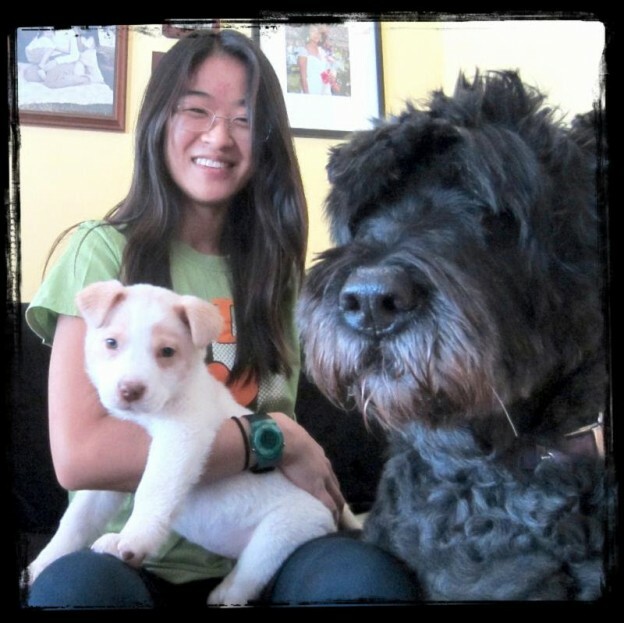 Meet Oak Park & Forest Park’s Awesome Pet Sitter, Ciara! Ciara begins her weekdays with college courses, and she ends them walking your pups and visiting your kitties. What a great way to gear up for a late-night study session! My furry family: Sheena, an 11-year-old Bouvier, and a new spaniel-mix puppy named Daisy! Best gift ever: Anything sweet, I have a huge sweet tooth! My superpower would be: I would love to fly or teleport so I could travel anywhere in the world. Life philosophy: Travel and experience as much of the world as possible! This entry was posted in Oak Park Pupdate and tagged Dog Walker, dog walking, Forest Park, Illinois, Oak Park on February 26, 2014 by Laura Rumage.